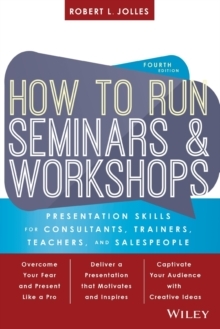 Make your message stick with expert help from this classic trainer's resource How to Run Seminars and Workshops is the classic guide for trainers and presenters in any industry. 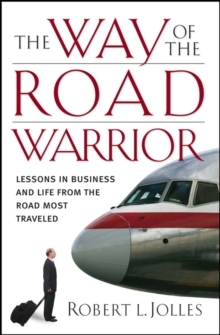 Packed with clear advice and real-world practicality, this book covers all aspects including planning, setup, delivery, coaching, and more including valuable guidance on selling your services. This new Fourth Edition has been updated and expanded, with new information on training simulations, self-marketing, and online delivery. New templates and worksheets help you sell your presentation more effectively, and insider tips leave you equipped to handle any situation that might arise. Novice presenters will find extensive guidance for every phase of the process, and even veteran presenters will learn how to fine-tune and adjust their methods to suit their audience and mode of delivery. Most trainers and presenters know all they need to know about their chosen topic, but very few know how to present it effectively. For more than a decade, this book has been training the trainers from behind-the-scenes preparations to "in the pit" performance and working with trainees hands-on, straightforward guidance shows you how to: * Capture and hold the audience's interest with expert pacing and visual aids * Take advantage of new technologies that make training more accessible * Prepare each session thoroughly to avoid mistakes, malfunctions, and delays * Offer effective feedback, fine-tune delivery, market your services, and more As training departments shrink many disappearing entirely more and more companies are turning to keynote and workshop delivery as a way of reaching key clients. Podcasts are replacing live training, and new technology is continually changing the way presentations are made. Professional trainers and speakers must understand the nuances of any audience/delivery permutation, and tailor their methods to match. How to Run Seminars and Workshops is a trusted resource for presenters seeking to boost their effectiveness at any level, in any industry.